The Open Source Crm service provided by Tech cruisers is an open CRM solution that is designed in such a manner that meets all the requirements of different business corporate organizations that require enterprise related coordination of sales fulfillment and sales generation, different multi functional service activities and marketing choices for the business clients, partners, customers, intermediaries as well as the suppliers alike. We have changed the entire look of the enterprise applications by making the Open Source Crm easily navigable and easier. It is now much easier to acquire and also implement for a business. 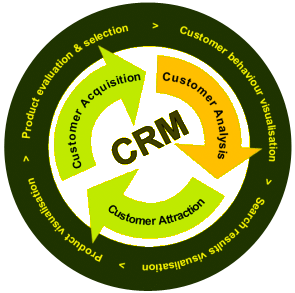 Why use the Open Source Crm by us, Ask Online Solutions? The Open Source Crm designed by us is a model driven design that provides you with low cost ownership and complete adaptability along with speed of deployment. Such an innovative architectural genius will improve the productivity and also accelerate the adoption process while also expanding the accessibility of the CRM. Now manage all your sales without putting much effort into it. With this Open Source Crm, you can also analyze the quality of the business leads so that you can make all the informed decisions thereby saving your time for other core functionalities of business. With Open Source Crm designed by Ask Online Solutions, you can also obtain control statistics so that you are able to get accurate forecasts regarding your sales performance at all stages of your relationship with the clients and the customers. To know more about the software and the service provided by us, get in touch with us. Why eLearning Software is Gaining the Fame? Why Choose a Custom Website Design Agency? Why should you hire a PHP Development Company?